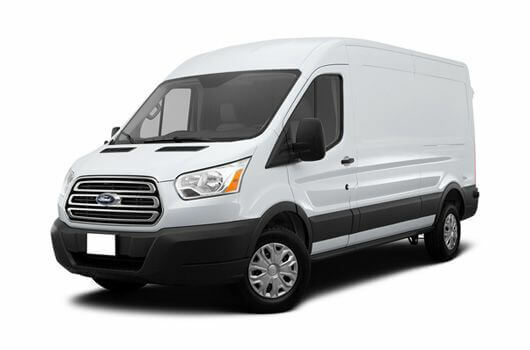 The Ford Transit Custom is one of the most functional and innovative vans on the market. Options include a Base model, an advanced Trend version with additional features, and a Limited version which features even more interior and exterior enhancements. Base, Trend and Limited Ford Transit Custom vans are in stock now and available to buy for affordable prices through UK Vans Direct. Ford Transit Custom vans are friendlier to the environment thanks to their 2.0-litre Ford EcoBlue engines which also reduces the overall running costs by being more fuel efficient. These technologically advanced engines are part of a new generation of high-performance diesel engines. The Ford Transit Customs are available with prices starting from £15,595.00 plus VAT and Road Fund Licence. There are hire purchase deals available, starting from £260.96 per month. Delivery of the van is free of charge. For more information about the Ford Transit Custom, whether you are interested in a Base model or the Trend or Limited versions, call our team of Ford Transit experts on 01709 717200.